The exclusive Corales Golf Club at Punta Cana in the Dominican Republic is so private that it was founded by only a dozen or so members! 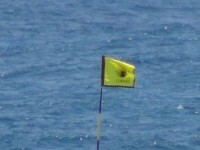 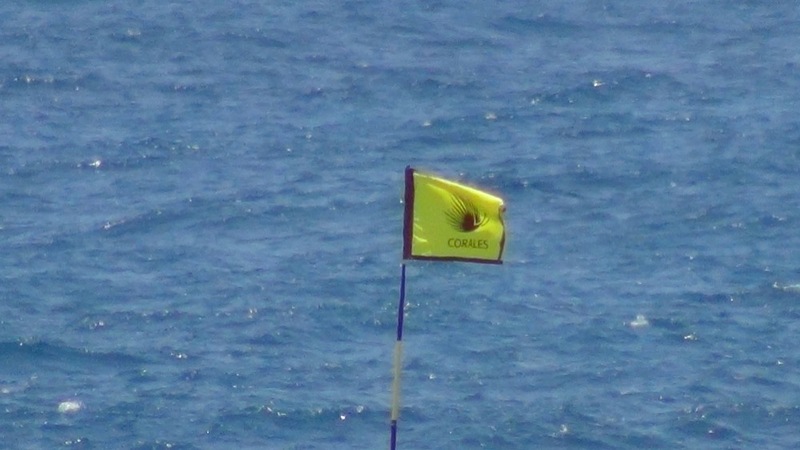 And once you find out who these founding Corales Golf Club members are it will be very difficult to forget them. 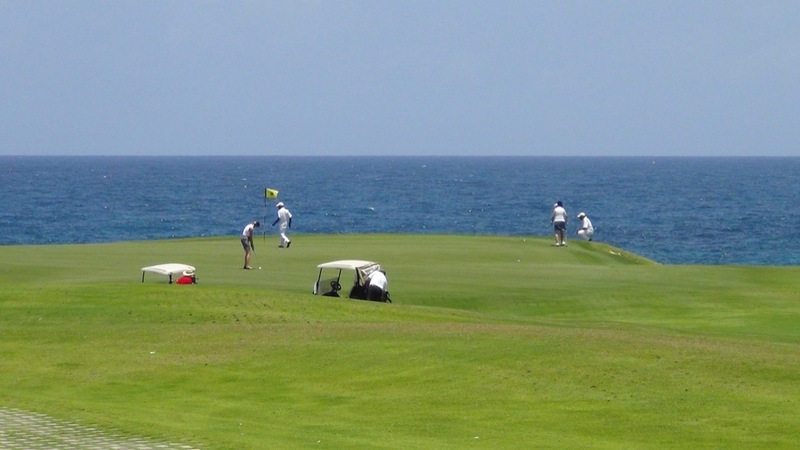 Mikhail Baryshnikov, Julio Iglesias, President Bill Clinton…it’s a who’s who and with so few of them ever there at the same time you might imagine that the Corales Golf Club staff members don’t have much to do each day! 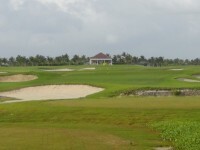 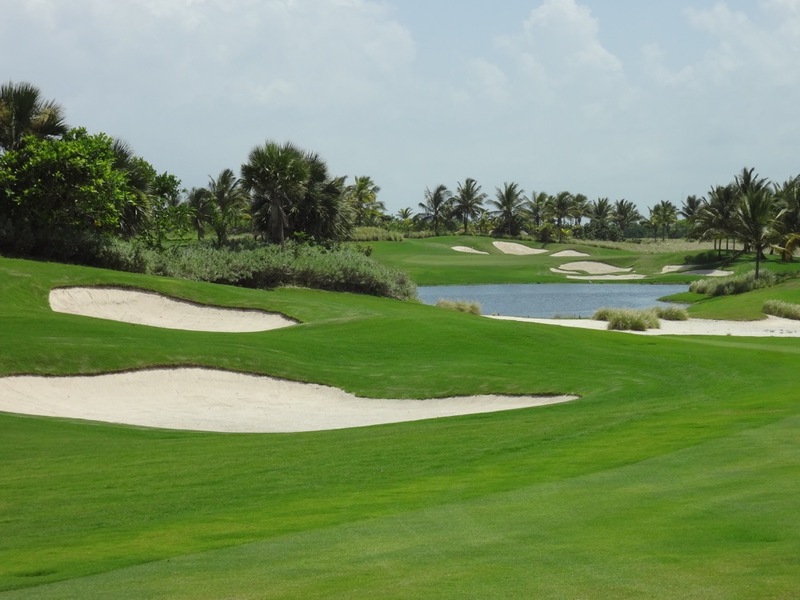 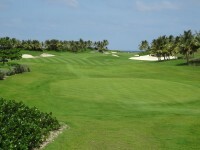 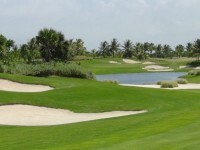 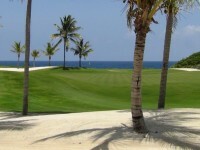 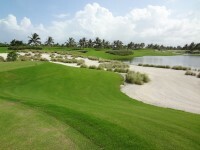 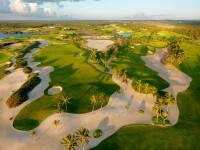 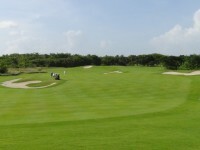 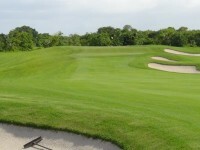 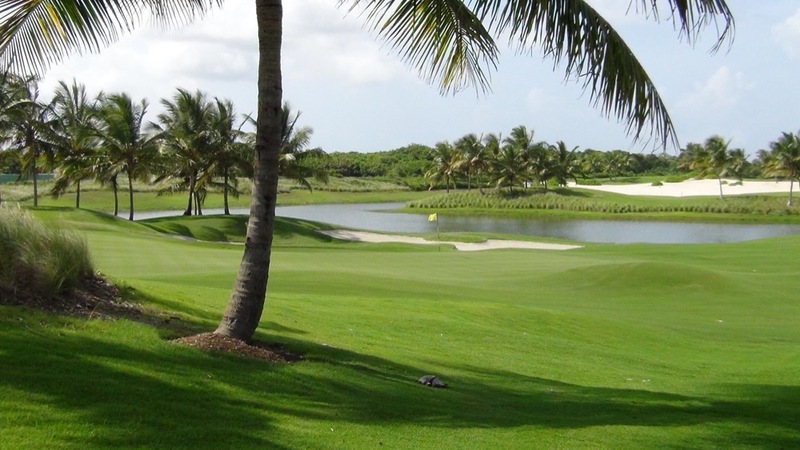 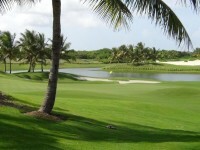 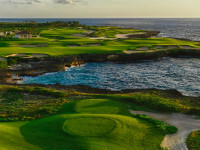 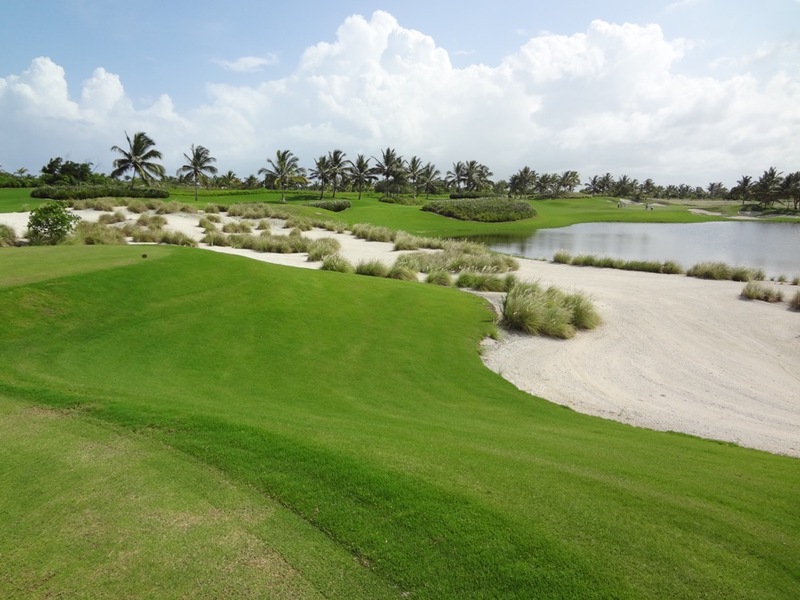 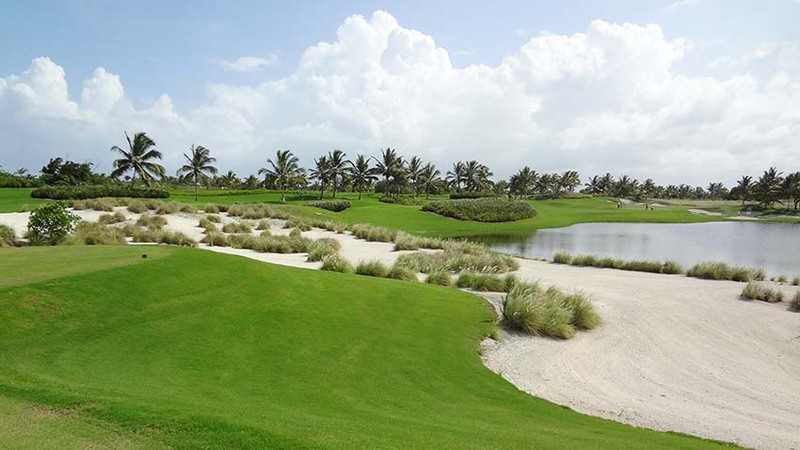 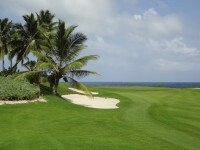 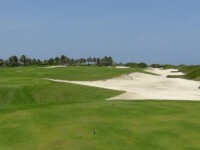 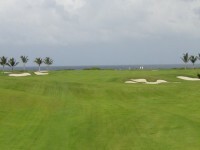 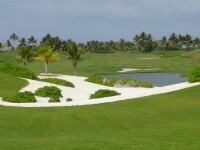 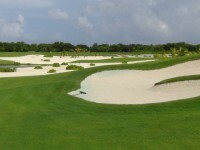 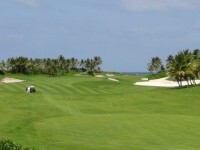 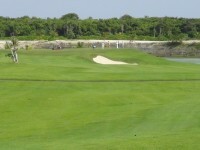 But thankfully that’s not the case because Corales Golf Club is open to visitors who are staying at the Puntacana Resort and what an opportunity they have to play one of architect Tom Fazio’s finest courses. 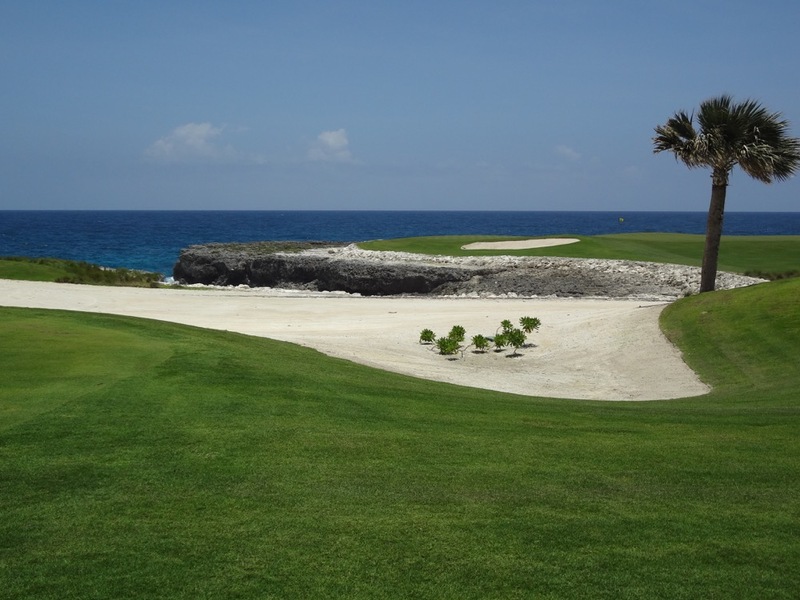 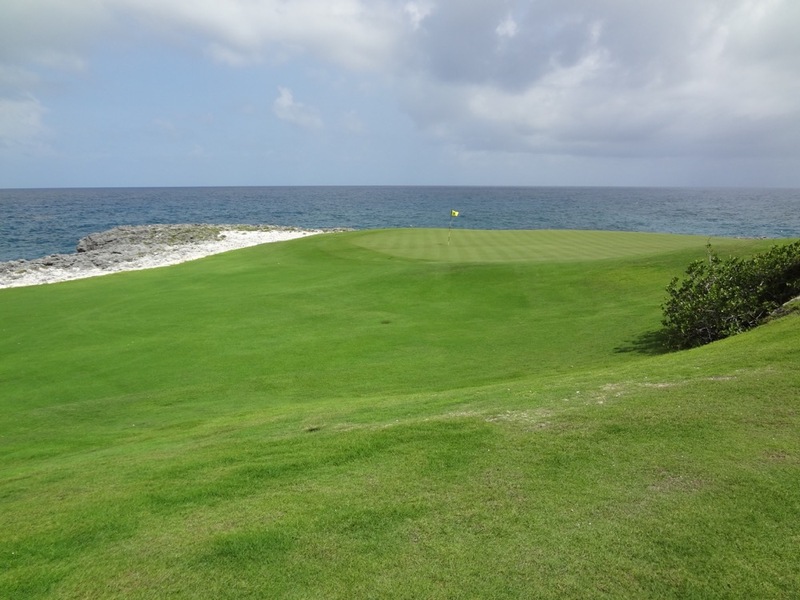 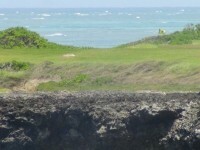 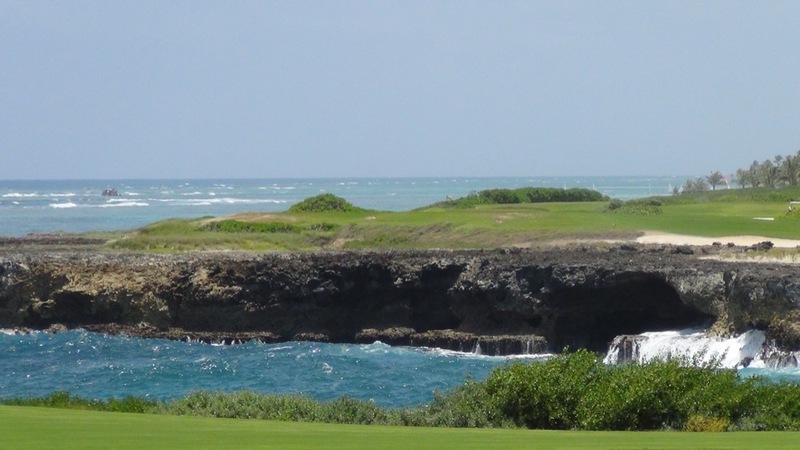 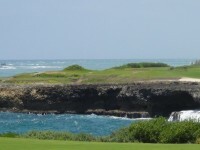 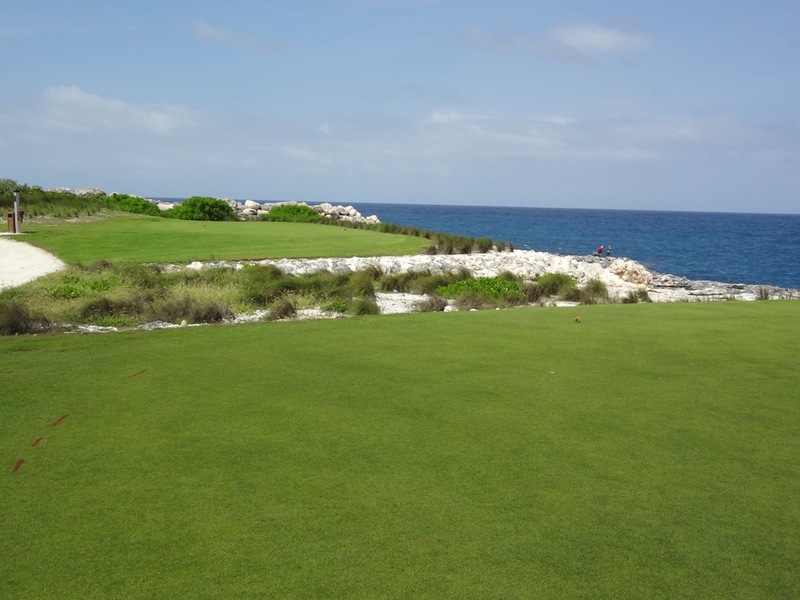 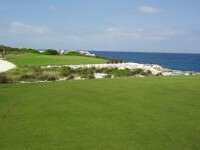 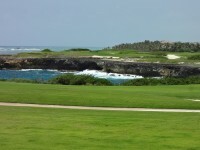 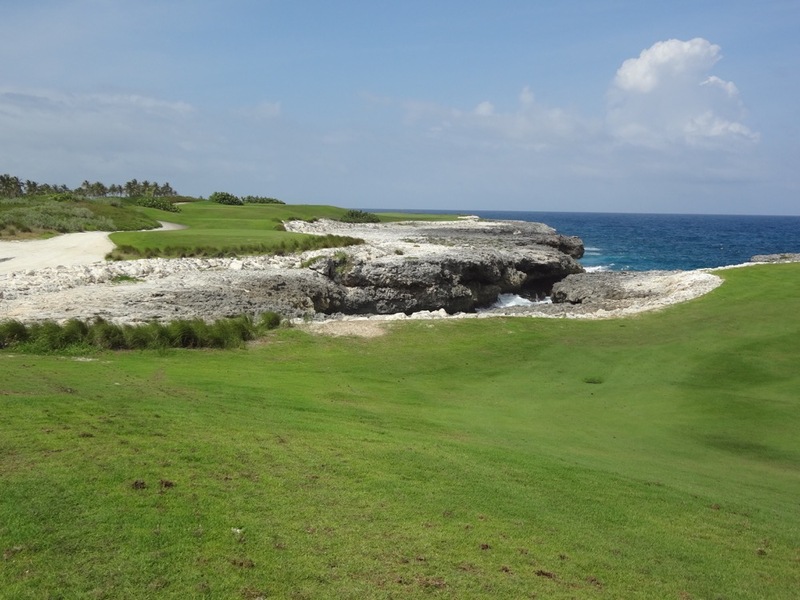 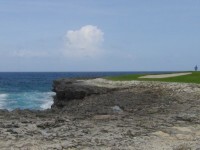 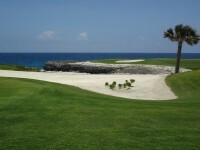 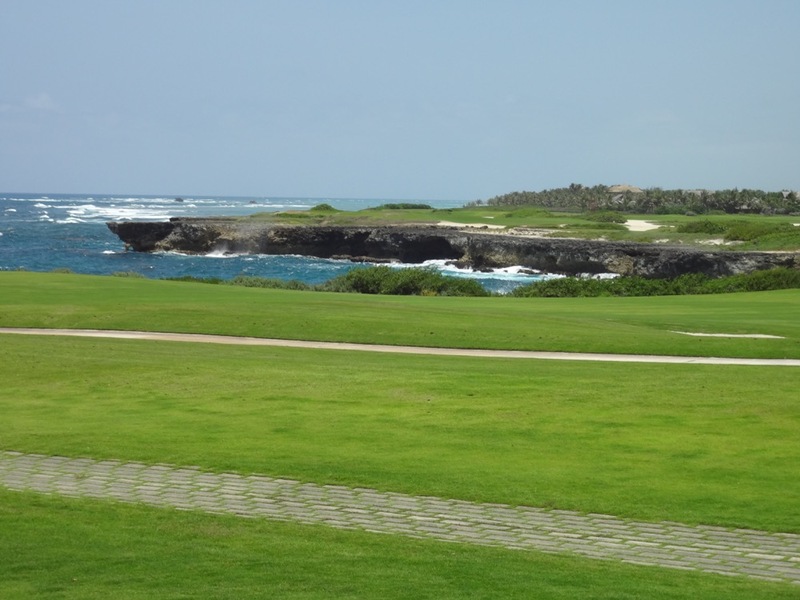 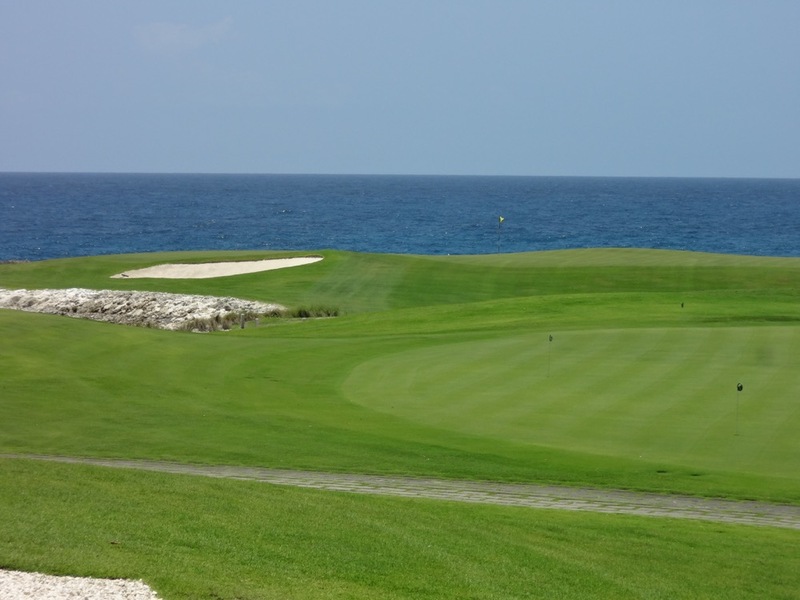 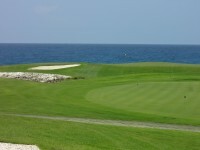 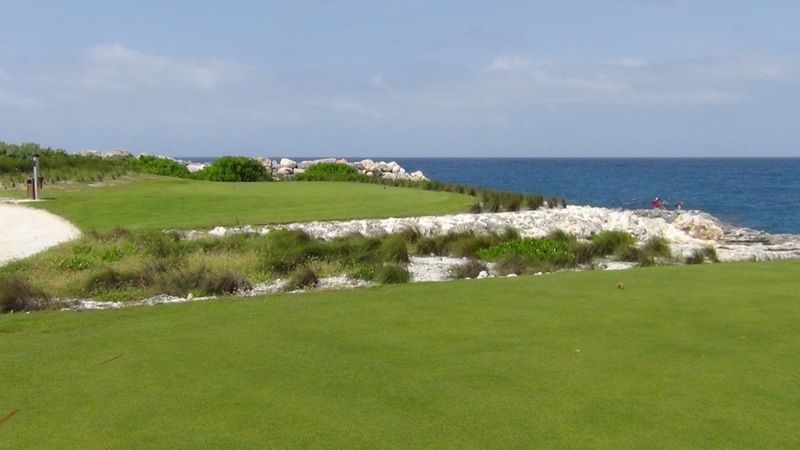 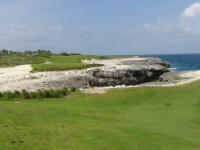 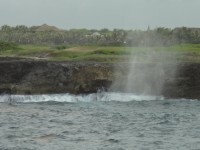 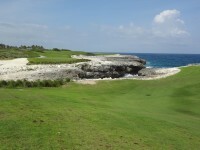 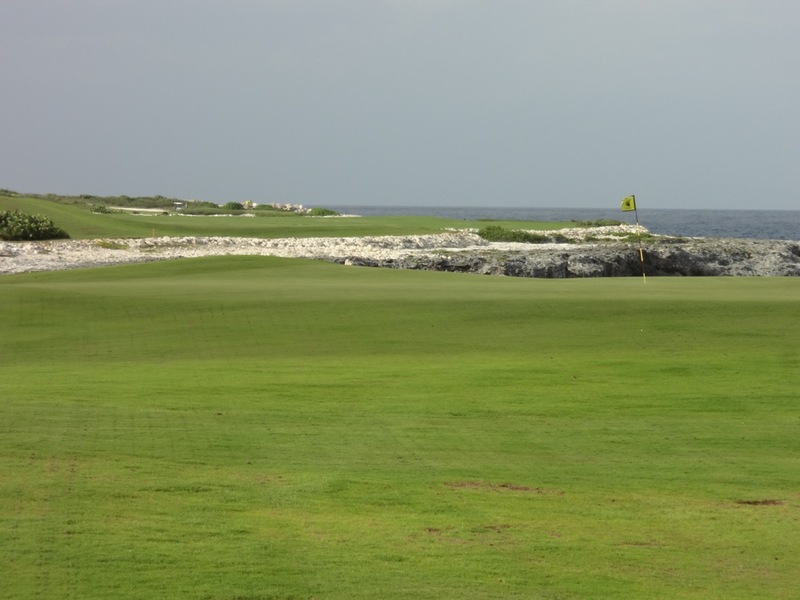 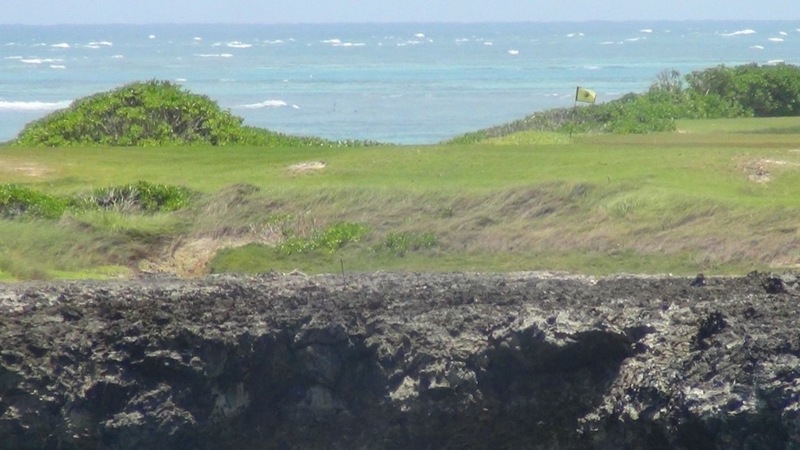 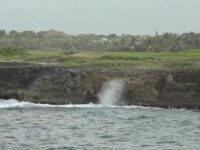 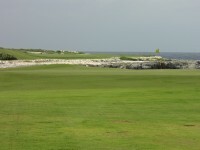 Opened in 2010, six holes at Corales Golf Club play alongside the Caribbean and they do so spectacularly along the natural cliffs, bays, and ocean coves. 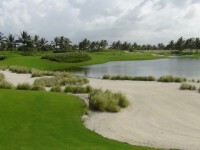 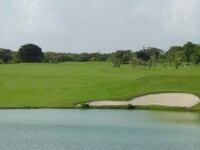 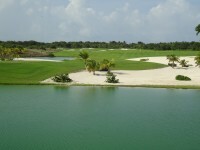 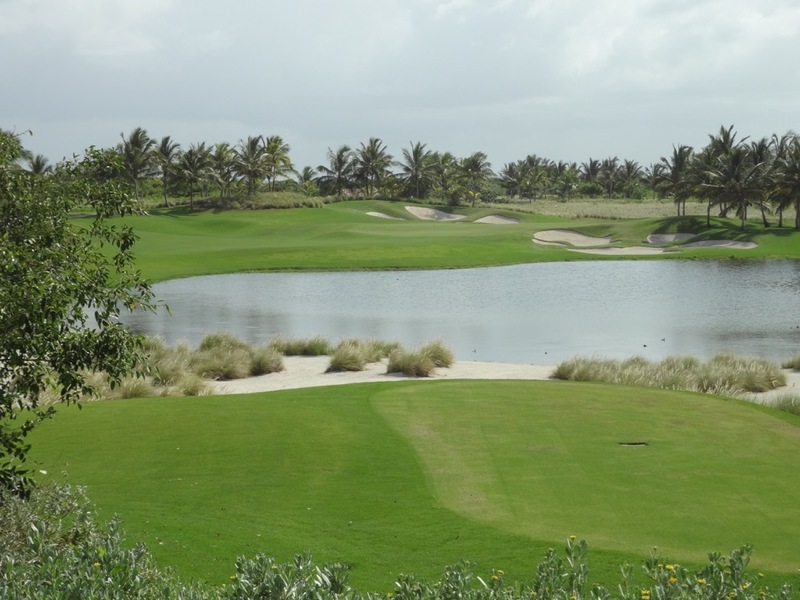 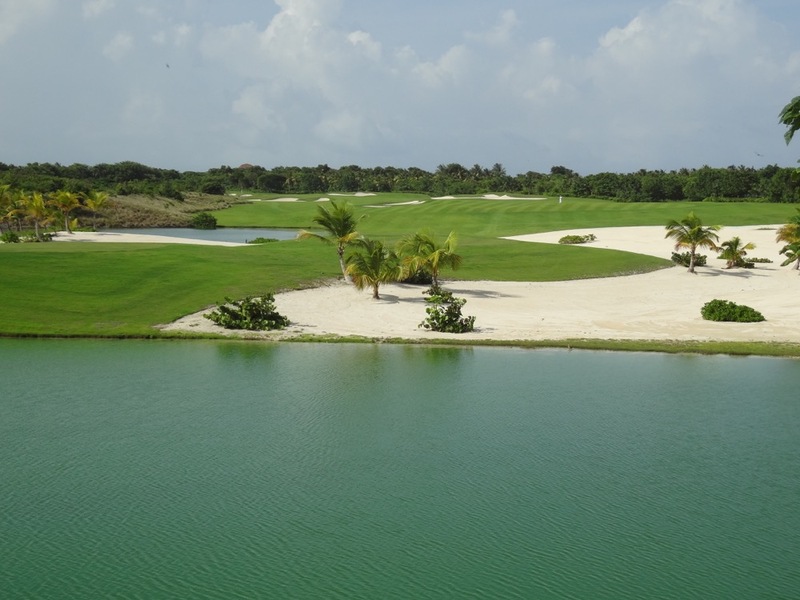 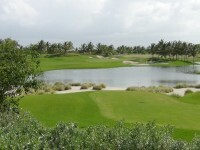 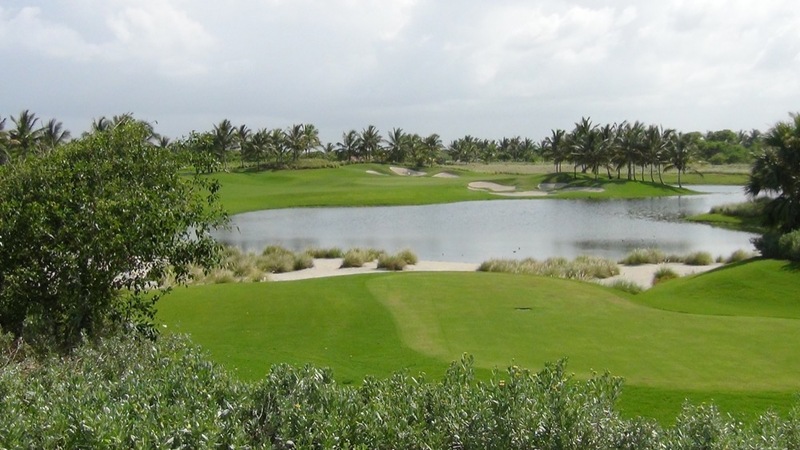 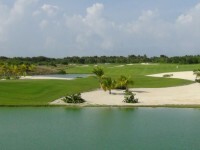 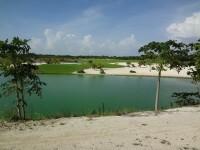 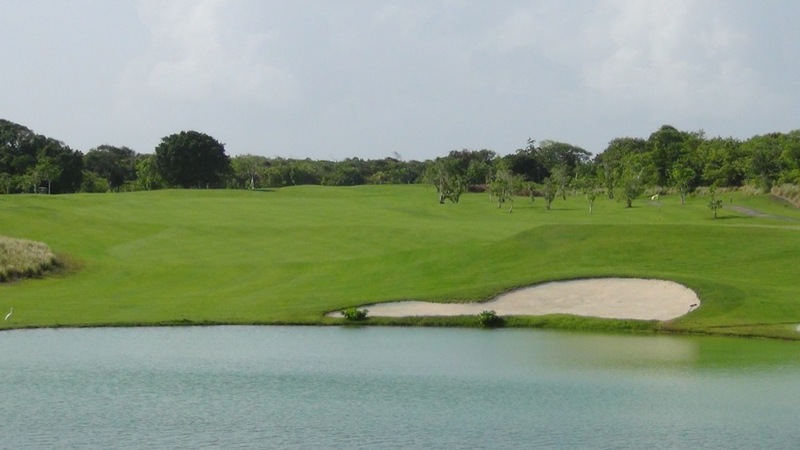 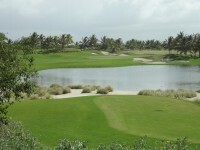 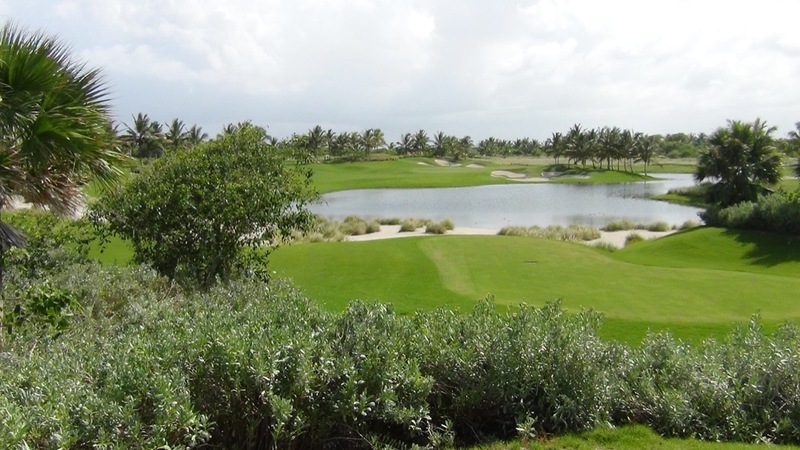 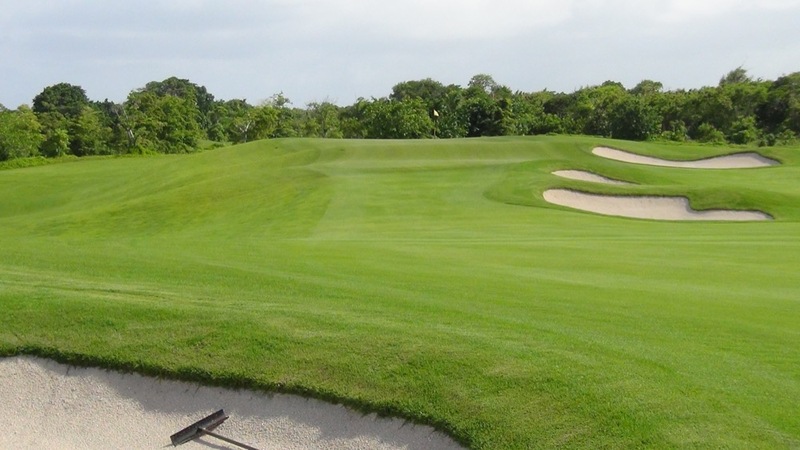 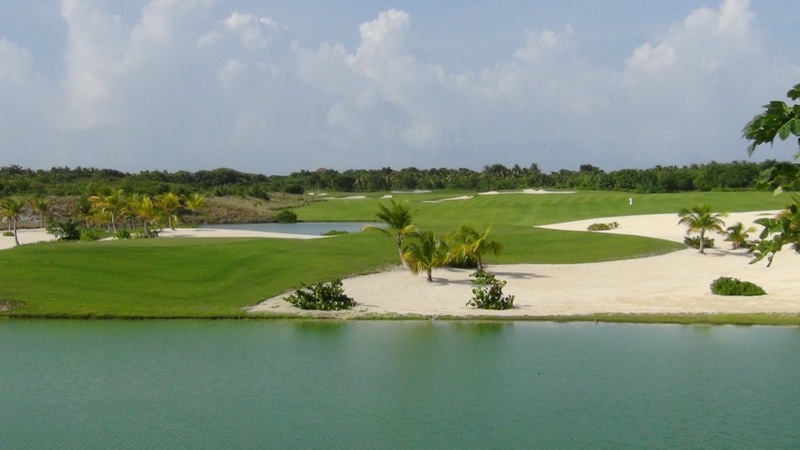 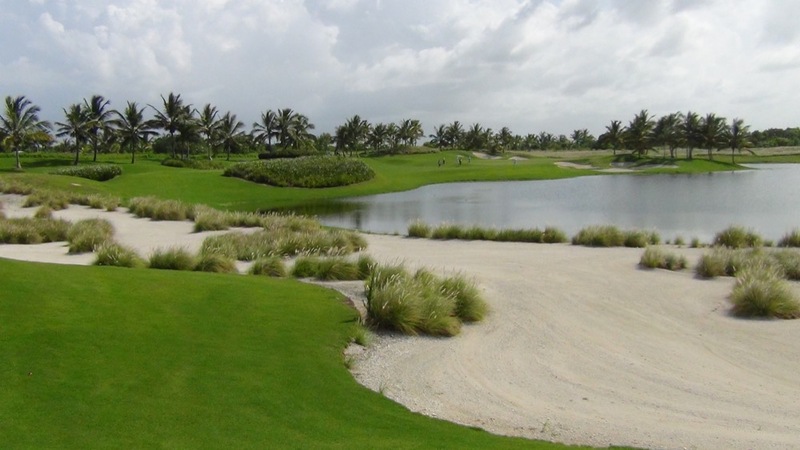 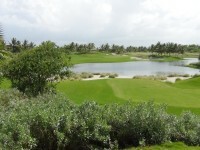 The twelve inland holes at Corales Golf Club though are no second act, they are worthy of an encore themselves as Corales’ inland holes incorporate the beautiful inland lakes and coralina quarries that define and set apart this particular piece of property. 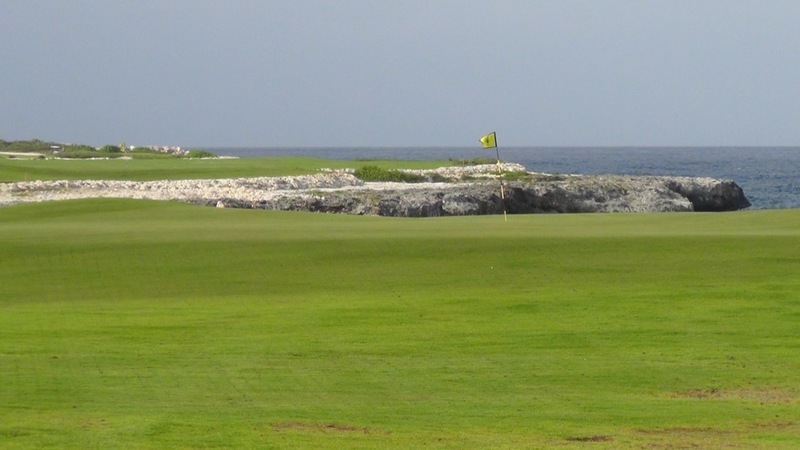 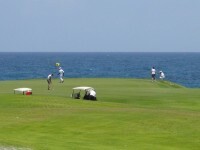 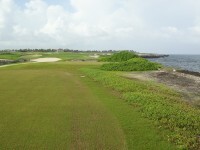 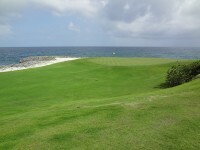 The highlight of the round at Corales Golf Club fittingly comes at the very end. 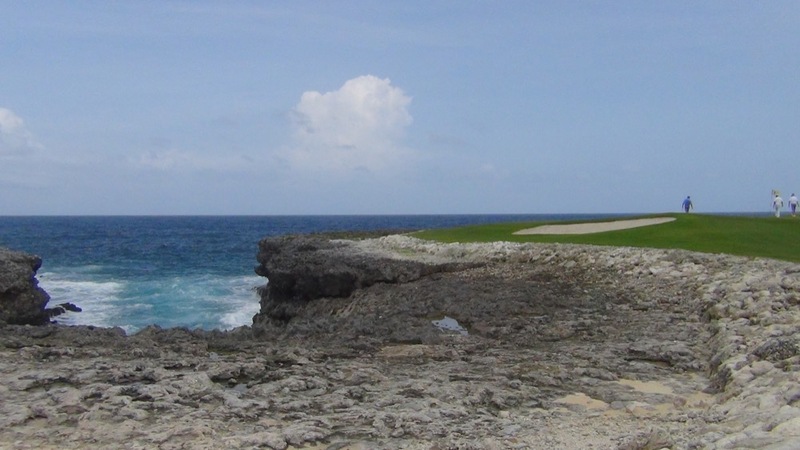 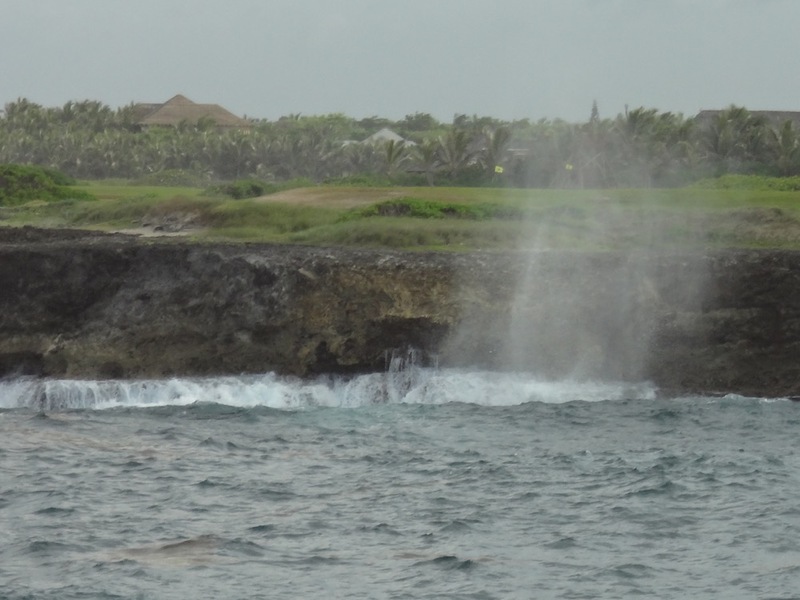 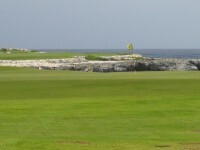 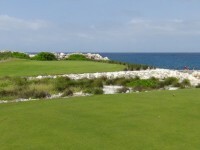 The last three holes at Corales work around a formation called the “Devil’s Elbow” and most spectacularly so on the par-4 18th. 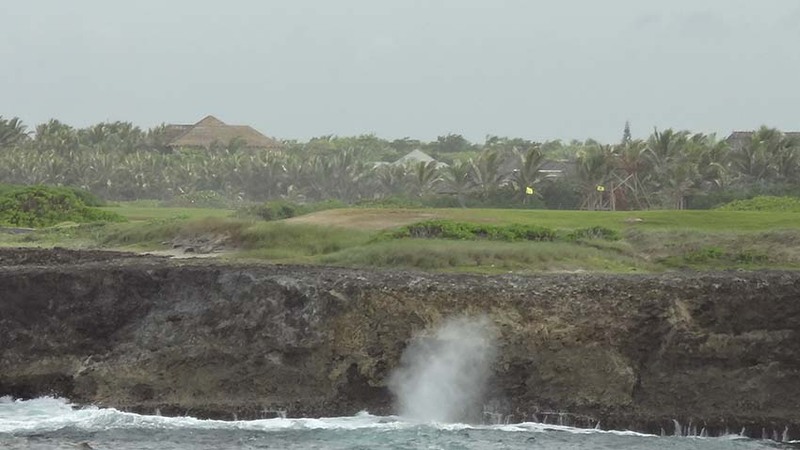 This hole is beyond incredible, dog-legging sharply around the elbow with an intimidating forced carry, tee to fairway from cliff-to-cliff over the Bay of Corales for which Corales Golf Club is named. 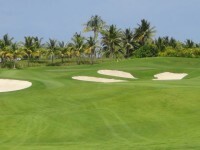 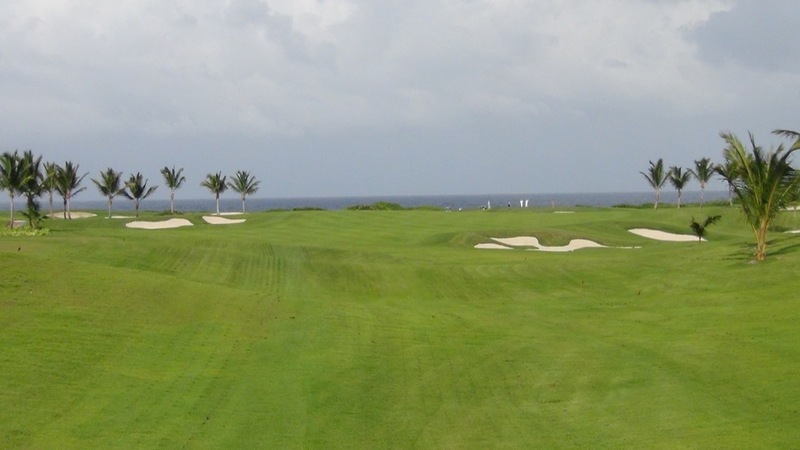 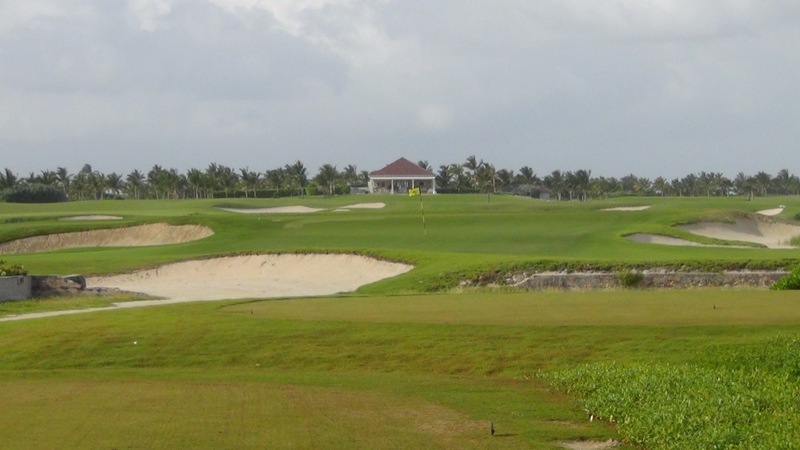 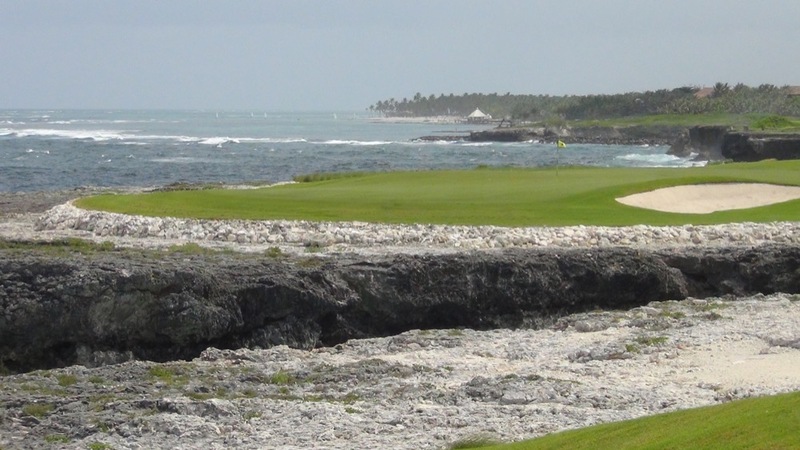 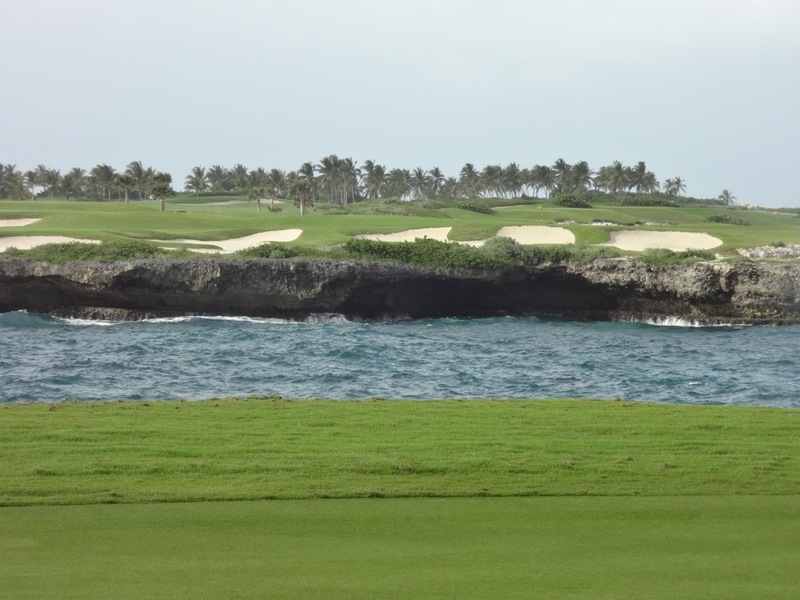 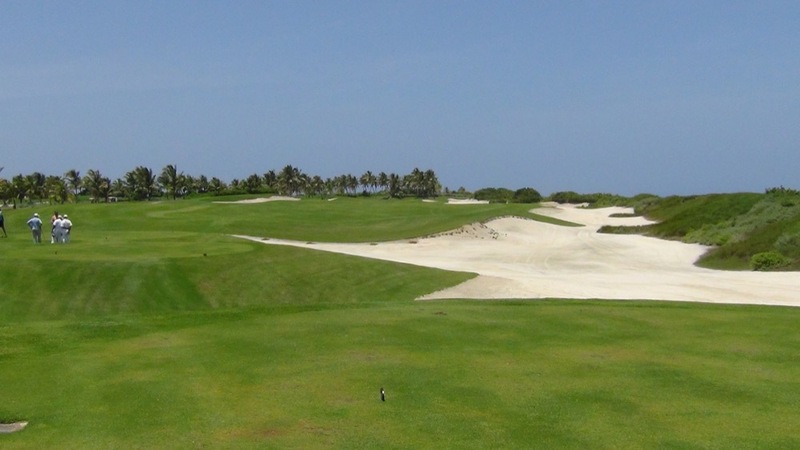 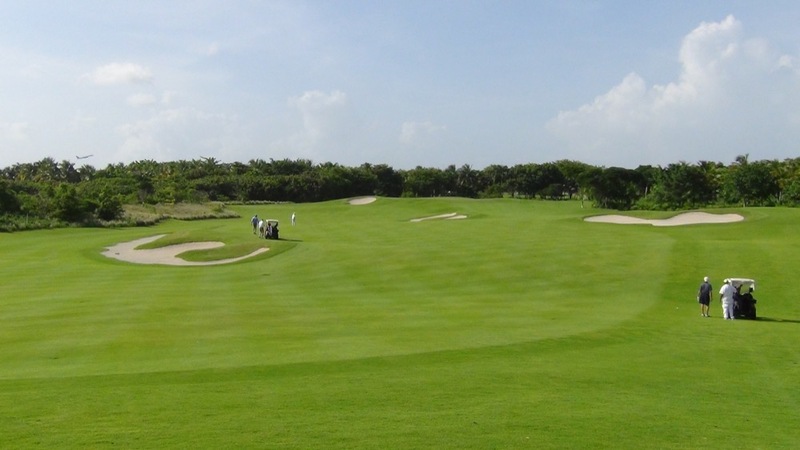 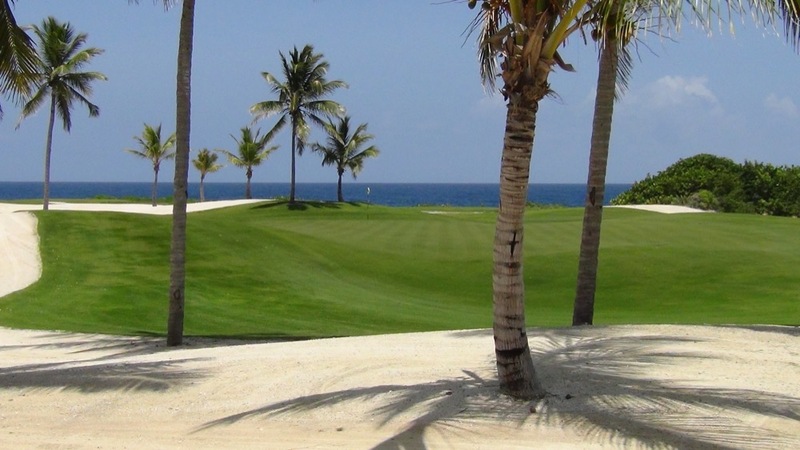 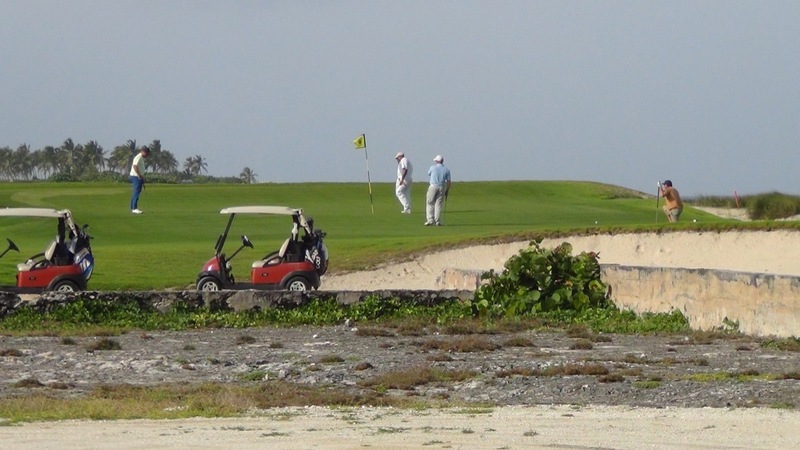 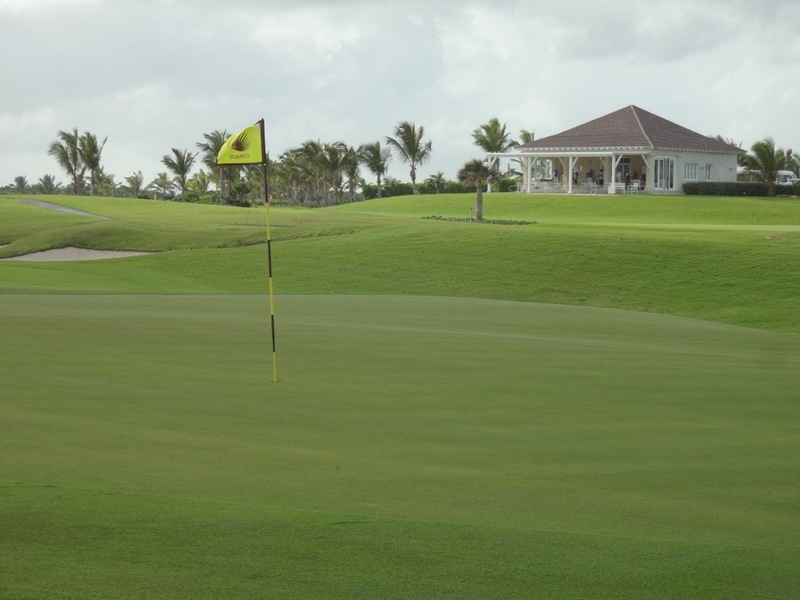 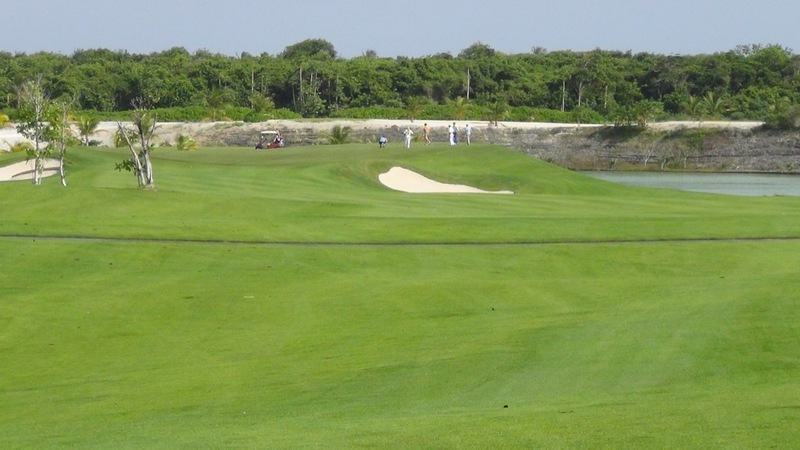 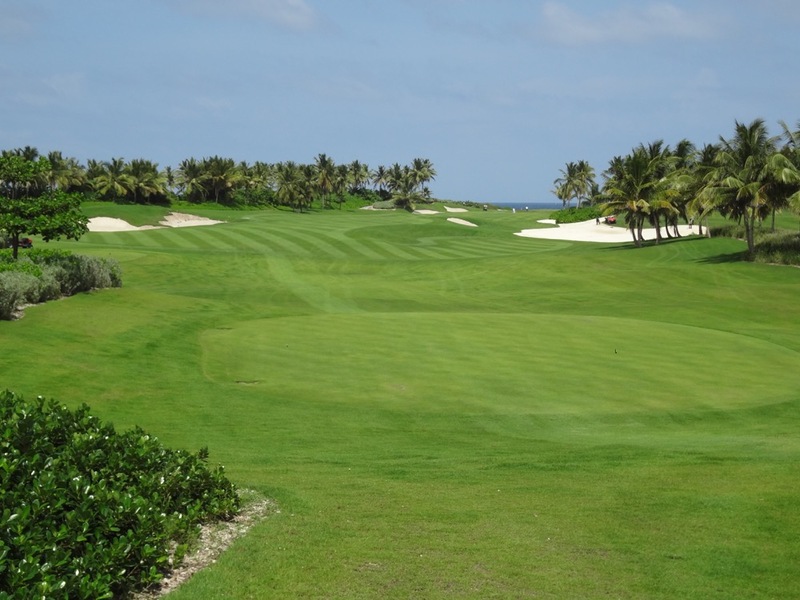 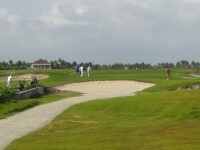 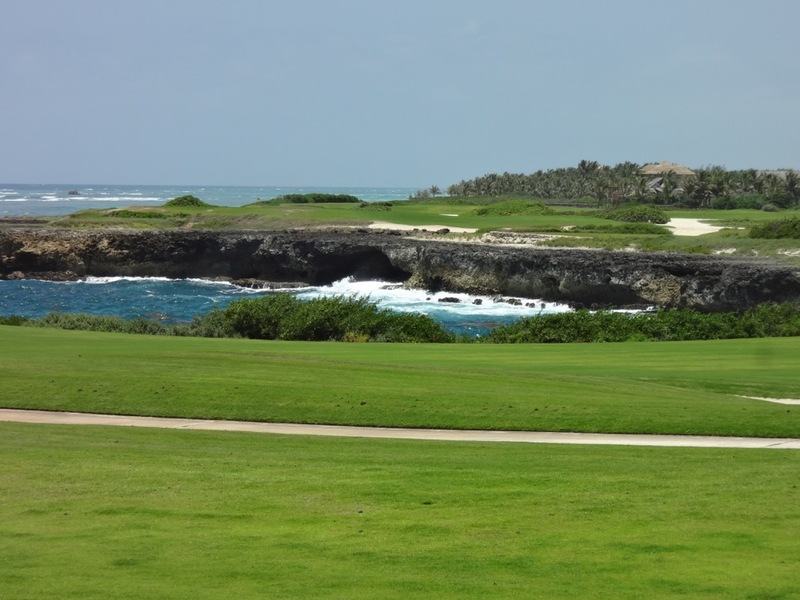 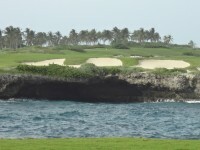 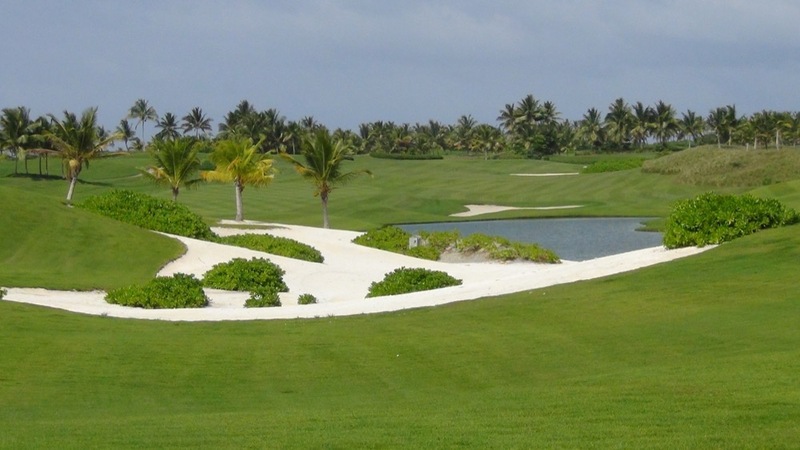 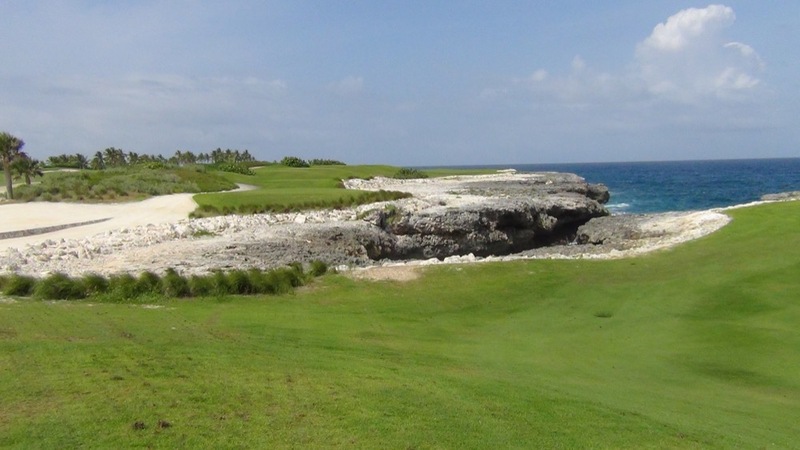 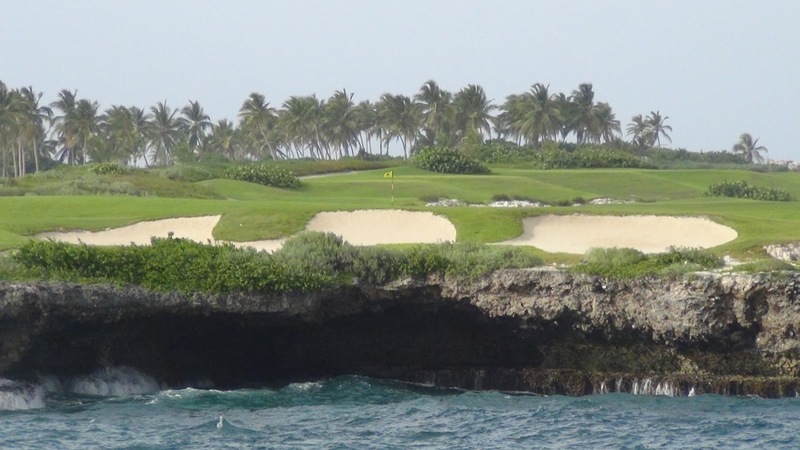 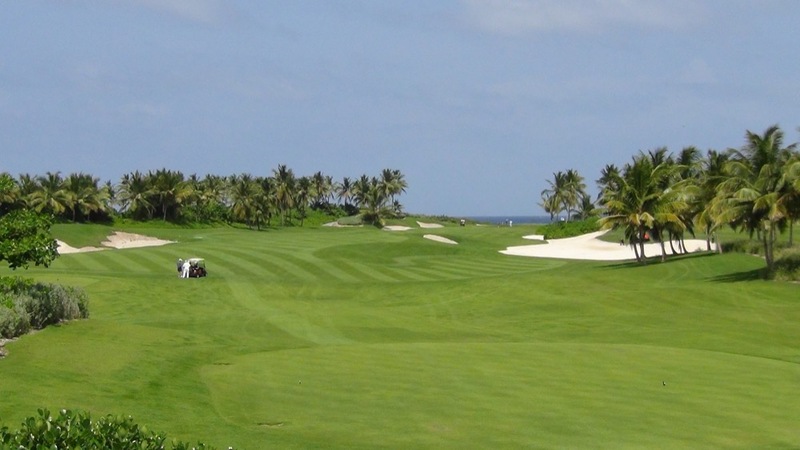 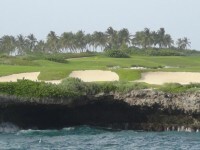 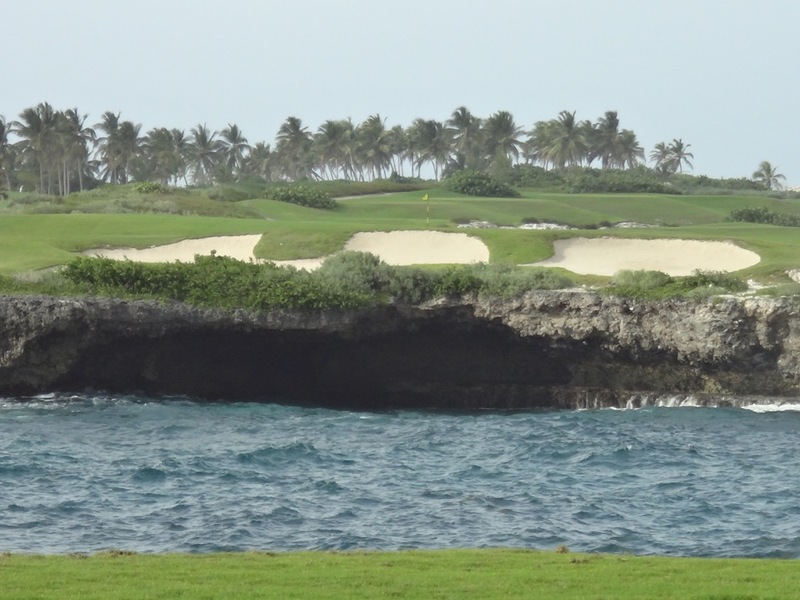 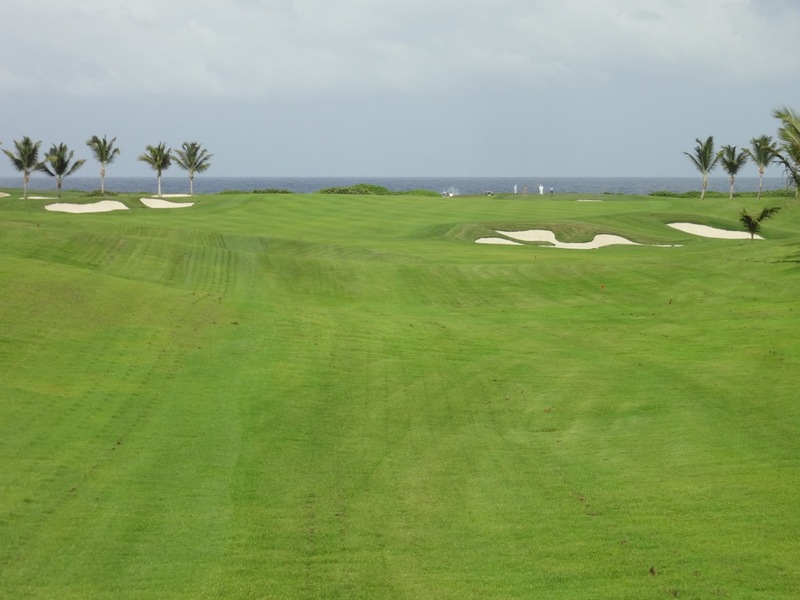 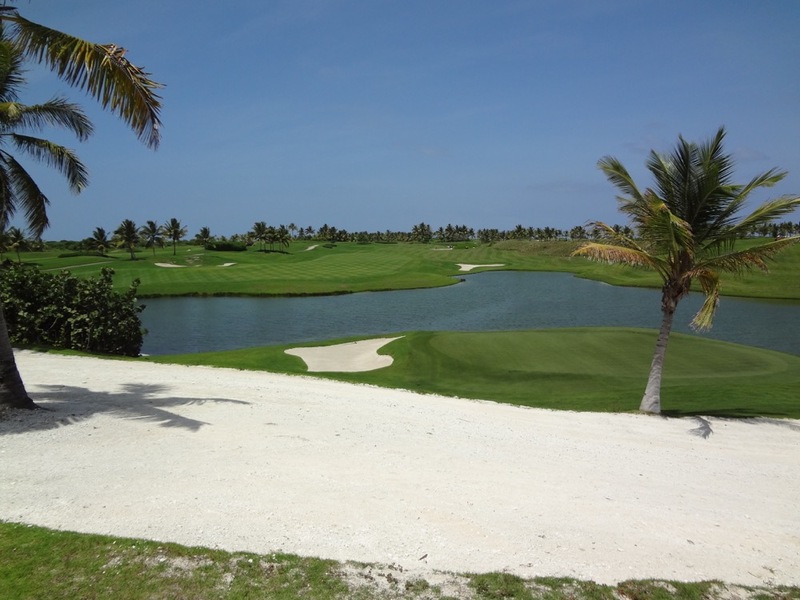 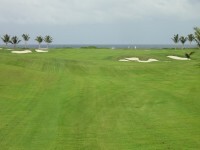 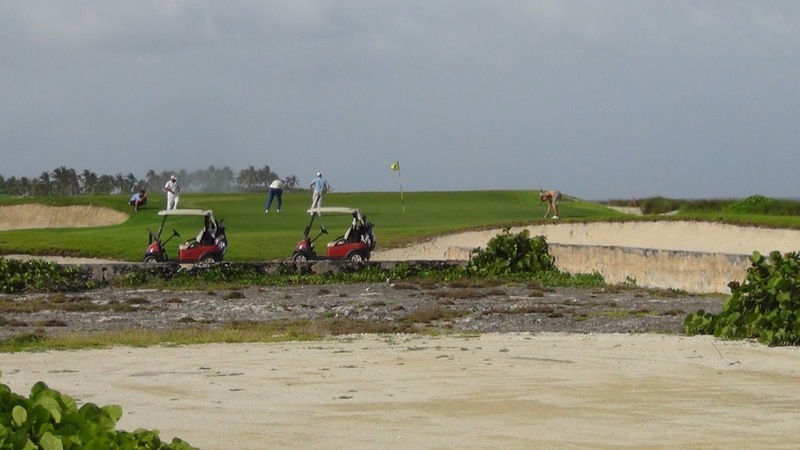 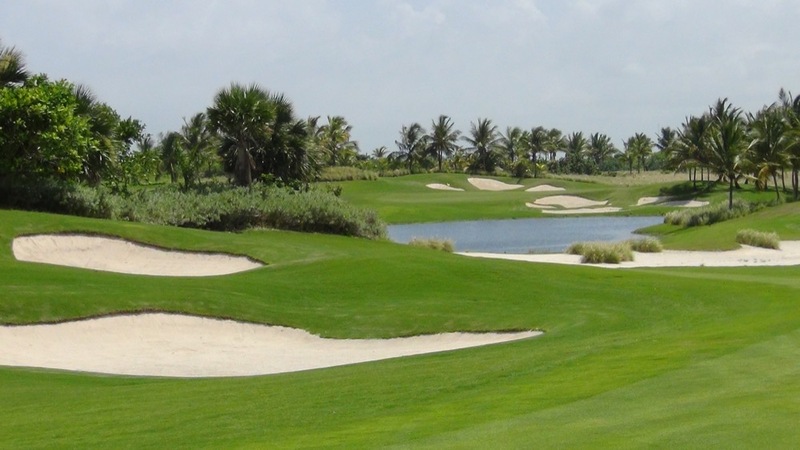 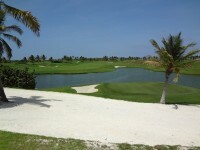 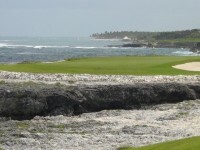 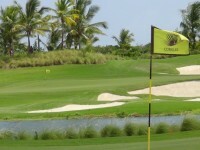 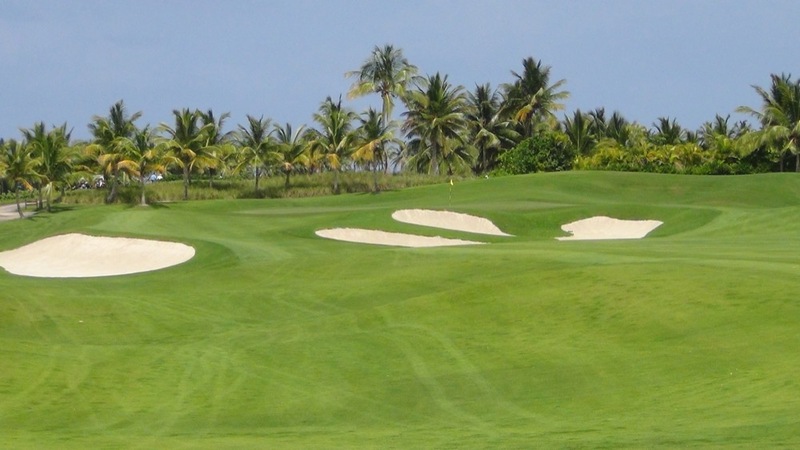 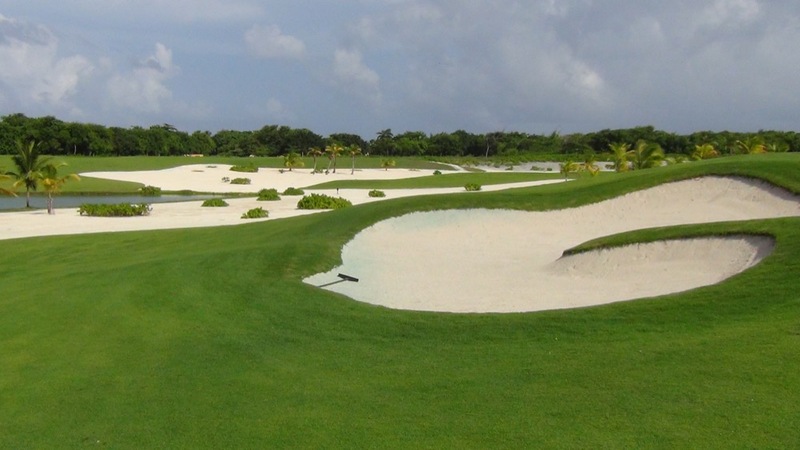 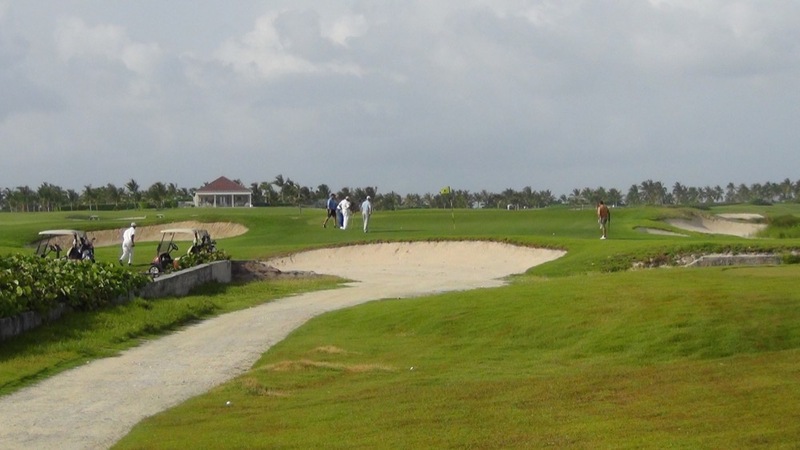 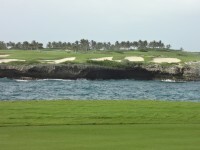 It is a rare opportunity indeed to play a course that is this private and there’s no guarantee that the chance to play Corales through Puntacana Resort will last forever. 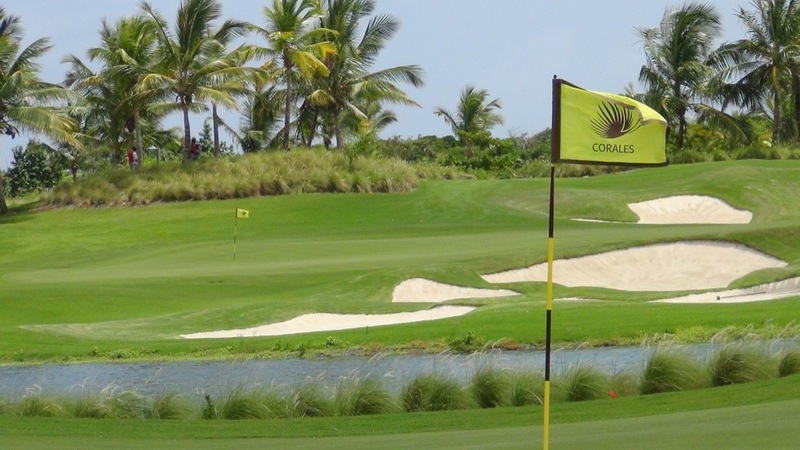 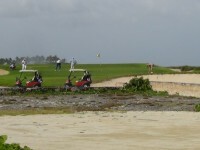 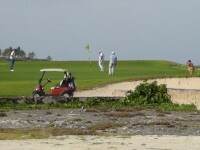 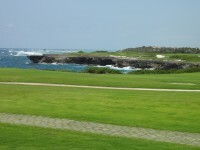 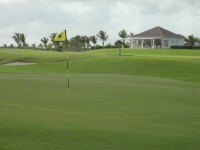 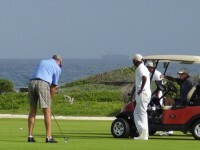 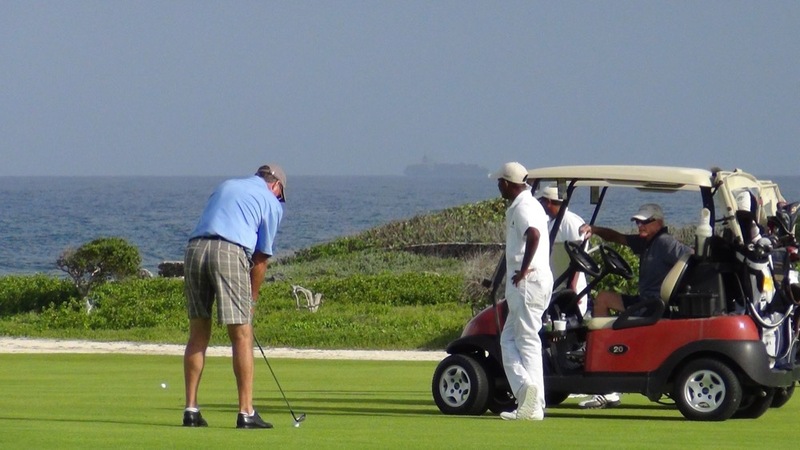 The best way to ensure that you play Corales Golf Club is to get to the Dominican Republic as fast as you can!